← How to add a translucent watermark on each page of my document? JPEG file format is often used on digital camera memory cards. The JPEG file is wonderfully small, often compressed to perhaps only 1/10 of the size of the original file, which is a good thing when modems are involved. JPEG uses lossy compression (lossy meaning "with losses to quality"). Lossy means that some image quality is lost when the JPEG data is compressed and saved, and this quality can never be recovered.But the feelings of images from people will not change. To convert mhtml to jpeg format,you can use a kind of powerful software-- VeryPDF HTML Converter.This software has two versions,one is GUI application and the other is a command-line application.GUI is not always convenient. Suppose you want to process an image dynamically from a web script or you want to apply the same operations to many images or repeat a specific operation at different times to the same or different image. In these cases, the command-line image processing utility is appropriate. 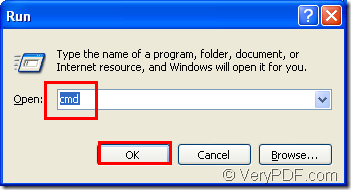 This article will tell you how to use HTML Converter Command Line to convert mhtml to jpeg. Step1.Click start menu and click “run” in the menu,then input “cmd” in “open” edit box and click “OK” button to run cmd.exe.You also can use hot key “Windows” + “R” to realize the same function.Please see Figure1 and Figure2. 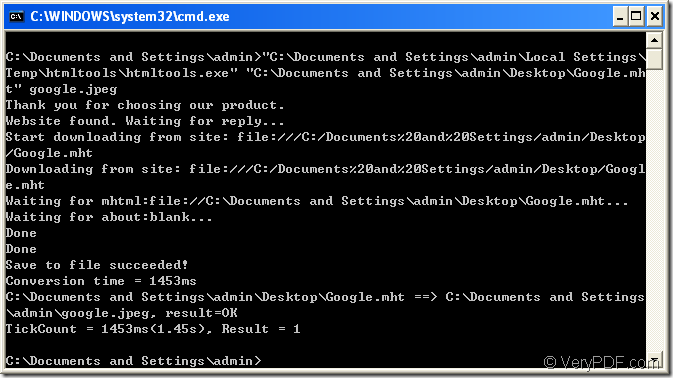 Step2.Input the command lines in cmd.exe to convert mhtml to jpeg.You can see Figure3. 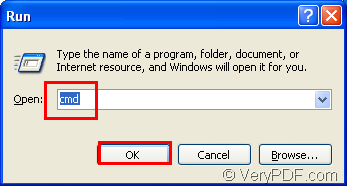 "C:\Documents and Settings\admin\Local Settings\Temp\htmltools\htmltools.exe" is the path of htmltools.exe.It is the executable file of HTML Converter Command Line and it is also the key of the whole conversion of mhtml to jpeg. 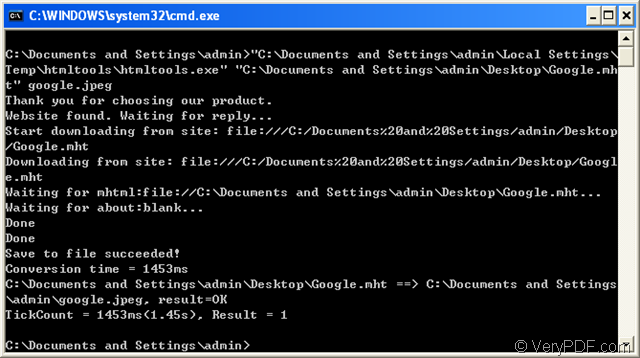 "C:\Documents and Settings\admin\Desktop\Google.mht" is the path of mhtml format file . google.jpeg is the name of target file which includes file name and extension name. 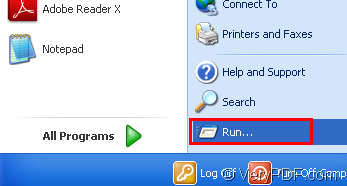 Step3.Then you can find the jpeg format file in current directory.Please see Figure4.